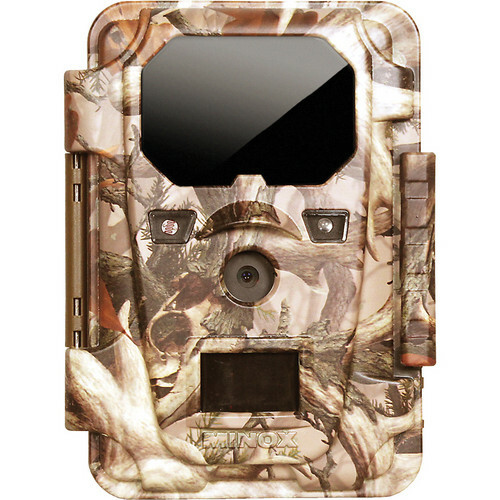 Game cameras have proven themselves for checking, recording and research purposes in nature observation and game parks, and have become an essential tool in the field of hunting and gamekeeping. Small and compact, this MINOX DTC 600 also features a black filter in front of the powerful IR flash, making it completely invisible to animals and people. Boasting a resolution of 8 megapixels the MINOX DTC 600 provides an outstanding imaging quality with pin-sharp details, high contrast and natural color rendition. The powerful infrared flash with a range of up to 15 meters produces reliable images even at night. The wavelength range of the flash is invisible both to people and animals due to a black filter positioned in front of the infrared flash. This makes the DTC 600 an ideal tool for hunting grounds and also for safeguarding property and for personal safety. Greater flexibility and efficiency during recordings thanks to the intelligently designed motion detector: Based on the individually adjustable sensitivity the camera only captures desired objects and excludes all recordings of irrelevant motions such as those of branches or grass. in hunting grounds and game parks. All data are stored on a SD card and can be directly read from the integrated 2.0 inch monitor or can be transferred to a computer or TV via the USB port. Additionally the data can be stored on the SD card. A code makes it impossible for others to unlock the DTC 600. A padlock also protects the DTC 600 against theft. 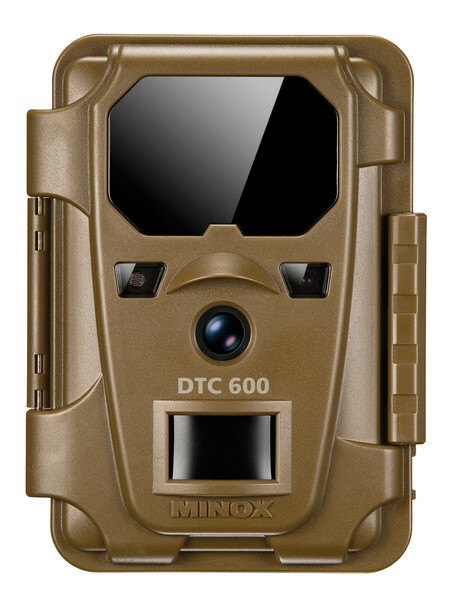 The reliable camera technology of the MINOX DTC 600 is protected by a sturdy and weatherproof plastic body that keeps out water, dust, cold and heat. The MINOX DTC 600 comes with a fixing strap, SD memory card and USB cable. Shutter lag under 1 sec.